New Eden: the celestial battleground of a catastrophic war that has claimed countless lives. The immortal starship captains spearheading this epic conflict continue their unstoppable dominance, shaping the universe to their will and ensuring a bloody, everlasting stalemate. But a powerful empire is on the verge of a breakthrough that could end the war and secure their rule over mankind forever. Empires of EVE: A History of the Great Wars of EVE Online is the incredible true story of the dictators and governments that have risen to power within the real virtual world of EVE Online. Since 2003, this sci-fi virtual world has been ruled by player-led governments commanding tens of thousands of real people. The conflict and struggle for power between these diverse governments has led to wars, espionage, and battles fought by thousands of people from nations all over the world. There have been climactic last stands, wars for honor and revenge, and spies who caused more damage than a fleet of warships. Empires of EVE is the history of how political ideas first began to take hold in EVE Online, how that led to the creation of the first governments and political icons, and how those governments eventually collapsed into a state of total war from 2007-2009. I already own the hardcover book and I was a apart of some of these wars and the times they happened in, but I wanted to hear Andrew tell the story again. Andrew is a storyteller, both written and when reading it up like this and you can feel his excitement about the content in this audio book. On four separate occasions that I remember off the top of my head I found myself with goosebumps all over my body and shivers running through it. Cochises "All appropriate emotions were applied. We hated them" I had to register to four times before managing to move on. If you wanna learn about Eve, I know many, many worse ways. Read this, and you've got something to do while you play Eve. 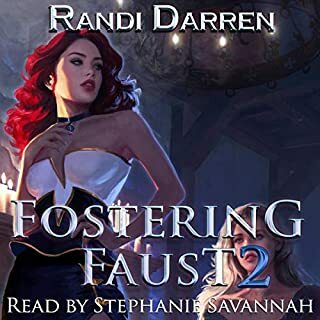 the narrator was awesome as was the story. 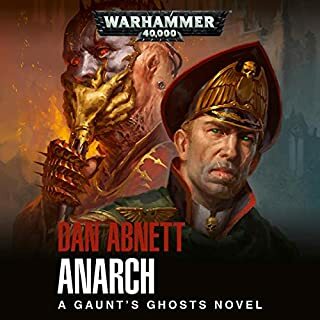 the author should definitely write another novel on what happens next and should consider writing his own novels and stories it was a very compelling read. great and thrilling stories of the world's best online game. the narrator does a great job at telling stories. EvE Online is one the most in depth game that has been through years of evolution!! 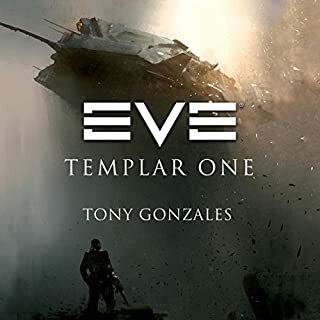 I love the story and the I recommend the book for eve online player, and people interested getting into game. loved it. I love scifi novels, this one is great and for once it's actually based on real life events. 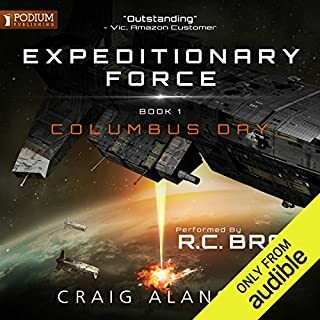 As an avid sci-fi fan with hundreds of titles under my belt - finding a good listen or read can be difficult. This book is fascinating and follows real-life events in a futuristic universe. The fact that these things have actually happened with thousands of real people struggling in a virtual world makes this so intriguing and such a good listen. As someone who has never played Eve online - this was still easy to follow, although if you tune out for a moment you'll need to skip back to make sure you've not missed anything since it narrates at a break-neck pace. Narrator reads at breakneck speed. He needs to learn to pause between sentences. Other than that, this is excellent. 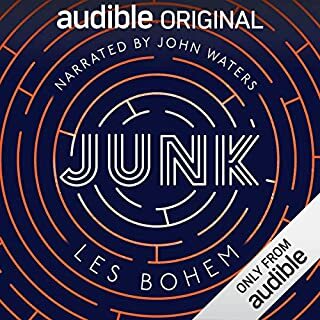 Audio quality not 100% perfect but story is great. 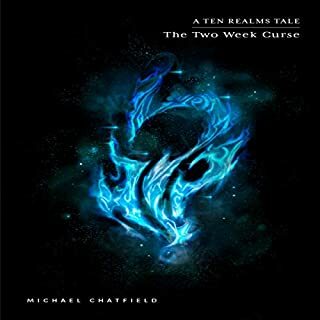 As a brief player of the game, this was an excellent read, a scifi tale! being an eve nerd, I could follow. if I wasn't - no chance! it's a tricky subject to tackle as there are so many cogs to each alliance. I'll warn you in advance that this is one of those books that requires you to listen up to the chapter marker. If you don't, you'll have to recap the chapter to pick up where you left off. all in all a good listen if you're into mmo games but I can imagine it being a tough task as an outsider to the game. 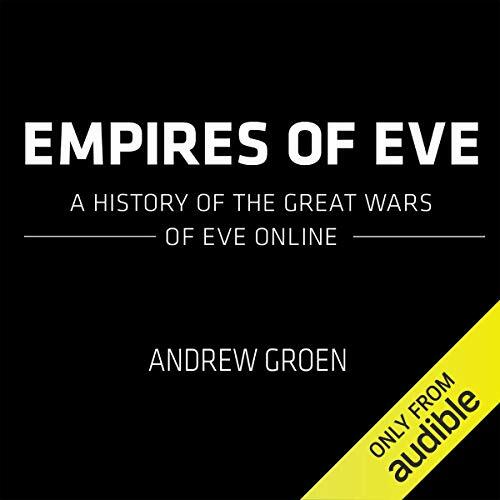 Groen does an amazing job of sifting through the myriad fractured sources of history of the players of Eve Online and bringing all the scraps together into an entertaining coherent account of the wars and machinations of the world's largest online sandbox. Groen reaches out to as many sources as possible to try and get a balanced an overview of the conflicts but also retains and allows the listener to enjoy the delicious emotional motives, reactions, and propaganda of the players driving these conflicts. Incredible insight into the real players behind Eve. Just amazing. learned a lot from this. awesome book, takes me back to my first years as a pilot reading all this happening. fantastic intro to the early years of eve! Its informative, enjoyable and worth every penny! If Your An EVE Player, This Is A Must! Absolutely great to listen to if your an EVE Player. Highly recommended and I wish there were more.